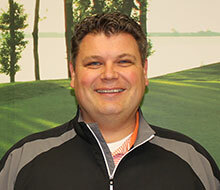 Bob has over 10 years of teaching experience and has taught a wide range of students from beginners to scratch golfers. Bob Mokros, a native of Baltimore, MD, began playing golf in 1986. After learning to play golf at Rocky Point as a junior, Bob went on to play at Archbishop Curley and Essex Community College. He began his apprenticeship at Rocky Point in 1997 and later worked as an Assistant Golf Professional at the Country Club of Maryland where he obtained his PGA membership. In 2013, Bob was promoted to the Head Golf Professional at Greystone Golf Course after serving as the Assistant Golf Professional at Diamond Ridge/Woodlands for 9 years. Bob has over 16 years of teaching experience and has taught a wide range of students from beginners to scratch golfers. Bob looks forward to working with golfers to help improve their game. For more information on 1 hour, 2 hour or 3 hour group clinics, please contact the golf professional directly.